A modern and soothing experience for your comforting stay in Mohali. Hotel Gold Star promises a mesmerizing stay surrounded by Mohali homeliness at a pocket-friendly price. This hotel is a comfortable stay with pleasure and comfort following an earthy and royal approach. 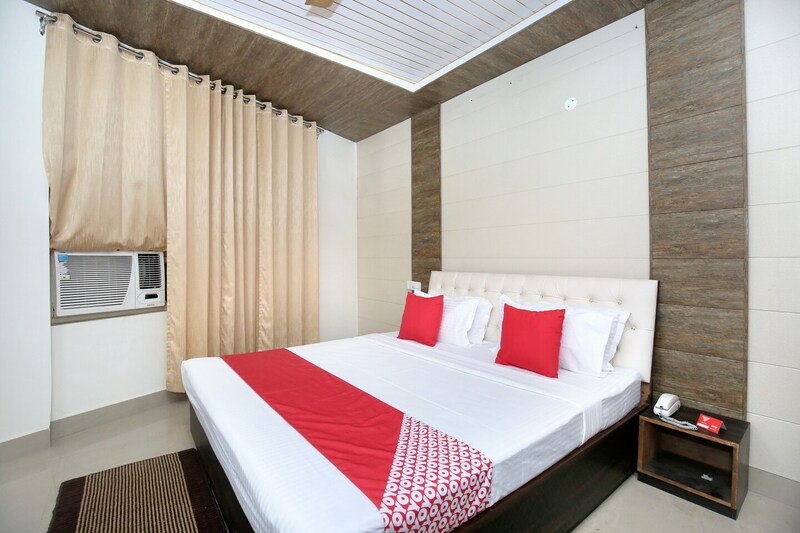 The sober and elegant hotel is bright, spacious and well-lit with well-decorated lighting, with wooden furnishing and marble ceiling, it makes the room cozy. The amenities in the hotel include free Wi-Fi, parking space, and card payment. The in-house restaurant and dining area is a convenient space to indulge in local cuisines with your loved ones. Garden Of Fragrance, International Dolls Museum, and Pn Mehra Botanical Garden are famous tourist spots to explore.